From the 30th November to the 11th December COP21 (Conference of the Parties) of the UNFCCC (United Nations Framework Convention on Climate Change) takes place in Paris . This is the 21st annual meeting to take place within the UNFCCC frame. But why is Paris so important if there is a COP every year? During COP17 in Durban in 2011 it was decided to create the ADP (Ad Hoc Working Group on the Durban Platform for Enhanced Action). The mandate of the ADP was to develop a protocol, another legal instrument or an agreed outcome with legal force under the Convention applicable to all Parties, which is to be completed no later than 2015 in order for it to be adopted at the twenty-first session of the Conference of the Parties, and for it to come into effect and be implemented from 2020. Therefore, COP21 is the end of a long process started by COP17 in 2011, and has to deliver the results it was designed for: a global agreement to reduce greenhouse gas emissions. Since 2011, the ADP held a total of 15 meetings, during which the future text to be approved as a new agreement in Paris was negotiated. But the path was not easy. Until COP15 in Copenhagen (maybe the COP that popularised public opinion on climate change issues), we could say that the leadership on climate change action, was taken mostly from the United Nations (with a more top down approach). The reduction targets were calculated on a global scale and guidelines were defined in order to implement the reductions, taking into consideration the historical responsibilities on the global emissions made by the different states, the Kyoto protocol was an outcome of this top down approach. During the COP15 in Copenhagen due to different reasons the agreement that had to be signed failed, and with it the way climate change issues were approached up to then. A lot of countries had the impression that not all the sensitivities were taken in consideration in the same way. Countries asked for more ownership of the processes, therefore we could say a more bottom up approach. After Copenhagen one of the key actors to work on this bottom up approach in order to produce a new agreement was the ADP. The ADP faced the difficulty of producing a text summing up all the national positions, and at the last stages of the negotiations had to ask the UNFCCC secretariat and the ADP co-chairs to help compile the inputs added by the different countries to the different versions of the text of the future Paris Agreement. We could say the process has been a constant switch from bottom up to top down approaches, always having the failure of Copenhagen as a ghost, as a reminded what to avoid in Paris. What is being discussed in Paris? The first week of the Paris Climate Conference was centered mostly on closing the working group of the ADP. This working group has finished its mandate and now their text will be presented to the ministers to negotiate and produce a final agreement. One of the hot issues this week has been finance: it is yet not clear how developed countries will provide finance to developing countries to better mitigate and adapt to the impacts of climate change. The paragraph of the text related to finance has not substantially changed since October, demonstrating how important and political this issue is. This is very much linked to one of the other difficult topics: differentiation. It attempts to define who starts reducing emissions first, or faster, or who should provide more help on finance. This historic debate asks developed countries to do more, since they are more responsible to create the climate crisis in the first place. We have also seen a very strong discussion about the 1.5ºC target. The idea is that temperature should not rise beyond 2 degrees C if we want to preserve life in the planet as it is, and avoid the most dangerous catastrophes. Studies find that 2 degrees is not enough, and that to preserve low-lying islands and coastal areas we should better aim for a maximum of 1.5ºC warming. This is very controversial for some countries, whose emissions would have to drop faster in order to meet that goal. Human rights have been in the highlights of the week as well. Together with labour rights, gender equality and the integrity of ecosystems, human rights is written down as the ‘purpose’ of the future Paris Agreement. However, there have been attempts to remove this part of the paragraph, ringing alarms for the NGOs and civil society participating in the negotiations. Finally, one of the issues that has progressed the most this week is adaptation. For months now there has been a push to include a Global Goal for Adaptation in the Paris Agreement. This Goal would define the general aim of adaptation, being enhancing adaptive capacity, strengthening resilience and reducing vulnerability to climate change. On Monday the COP will receive the final text proposed by the ADP in order to adopt a new agreement. Ministers will be discussing this all week in order to close some of these debates. All eyes will then be on Paris to know if we can build a new mechanism that can be useful to deal with what can be considered one of the biggest challenges that humanity has faced so far. 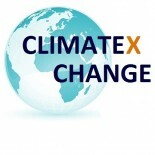 This entry was posted on December 7, 2015 by Anna Pérez Català in Climate Change Negotiations, Uncategorized and tagged Climate Change, Climate change governance, cop21, UNFCCC.